You thought that all limousines were American? Well, meet the Sixties German king. The presentation of Type 600 at the International Motor Show in Frankfurt created a real sensation. Since the new top model had been designed as an exclusive limousine to fulfil the highest demands, appropriately it was equipped with the highest technology available at the time. 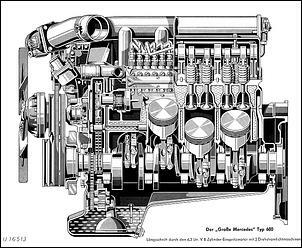 For the first time in the history of Daimler-Benz, a V8 injection-engine was used which delivered maximum power of 250hp from a 6.3-liter cubic capacity - and a maximum torque of 500Nm! Working with the standard automatic transmission, this car achieved driving performance more typical of a contemporary a sports car. The 600 model, which weighed almost two and a half tons, reached a maximum speed of 205 km/h and accelerated from 0 to 100 km/h in 10 seconds! 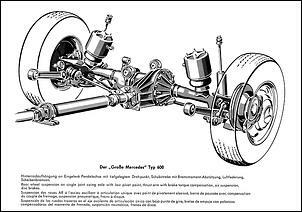 Its shock absorbers could be adjusted from the steering column during the ride, and air-pressure supported dual circuit brakes offered maximum safety. 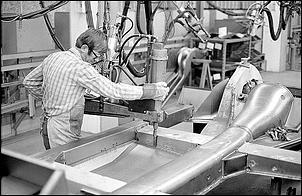 All four wheels were equipped with disc brakes, the front wheels each being fitted with two "double jaw" calipers. The extremely generous basic equipment of the 600 model, air suspension, powerbrakes, central locking systems and an electronic heating and airconditioning system afforded maximum ride comfort and easy handling. Unique hydraulics (not electrics!) ensured automatic operation of the following functions: horizontal and vertical adjustment of the front seats; tilt control of the back of the seat; adjustment of the rear seats in longitudinal direction; opening and closing of the vehicle doors and the boot lid, the optional sliding sunroof and the side windows. 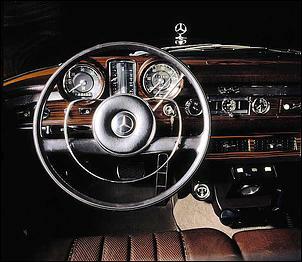 Serial production of the "Grand Mercedes" began in September 1964. 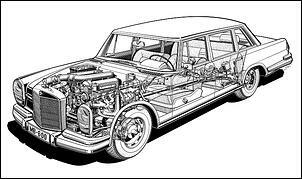 Apart from a five- and six-seated sedan with a 3200mm wheelbase, three seven- and eight-seated Pullman versions with a 3900mm wheelbase were available. 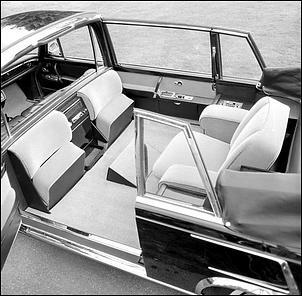 These comprised a four-door Pullman limousine with rear seating in a face-to-face arrangement, a six-door Pullman limousine with rear seats and additional folding tables in driving direction, and a Pullman landaulet. The last was available in four different versions. The standard version had four doors, rear seating in a face-to-face arrangement and a hood, reaching to the front edges of the rear doors. As a special design, a six-door version with rear seats and additional fold-down chairs in driving direction was also available. As with the six-door Pullman limousine, the doors in the middle could also be ordered without handles. 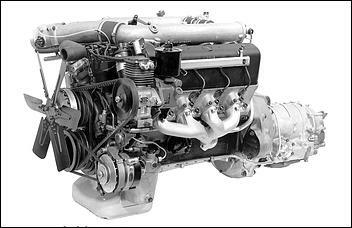 Both landaulets - the four-door as well as the six-door version - were also available with a long hood, which extended to the middle partition. 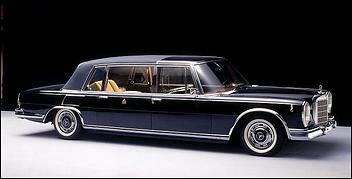 Even more exclusive than the landaulets were the special security sedans and Pullman limousines. Like the landaulets, they were not included in any price list. 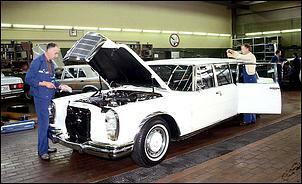 The first bullet-proof vehicle by Daimler-Benz after the war was built in June 1965; this was a Pullman limousine with an elevated roof. 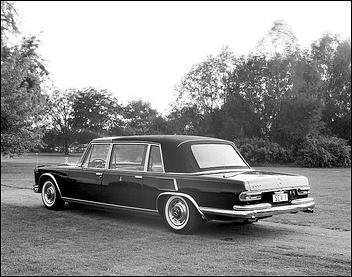 It had many special security features and like some other ordinary Pullman limousines, had not been ordered by a customer but remained part of Daimler-Benz' motor vehicle fleet to be hired out to the government or to other potential users. Another car of this type was completed in 1980, which also remained at Sindelfingen. For special customers who were faced with potential threats and who had the necessary financial means, 43 special security 600 models were built between May 1971 and November 1980. 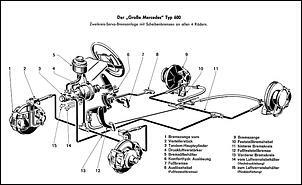 Unlike the two cars of Daimler-Benz' vehicle fleet, they all had a roof of ordinary height. These cars included 26 sedans and 17 Pullman limousines, one of which was a six-door version. The numerous body designs, however, did not yet exhaust all the possible choices. Specific paint, interior design and special equipment customer requests could be fulfilled, so that it is probably impossible to find two cars with identical equipment - especially among the Pullman limousines and landaulets. But three individual cars should be mentioned - regarding equipment details and technology, they have no equal. 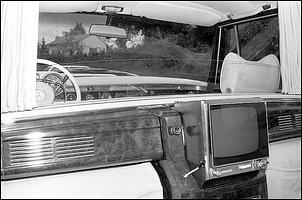 In September 1965, a four-door Pullman landaulet - built for Pope Paul VI - had an individual seat and some other special equipment. Additionally the car was characterised by an elevated roof and extended rear doors, which started immediately behind the front doors. For two decades the car was used by three popes; it returned to Stuttgart only in 1985. Since that time it has been exhibited at the Mercedes-Benz Museum. 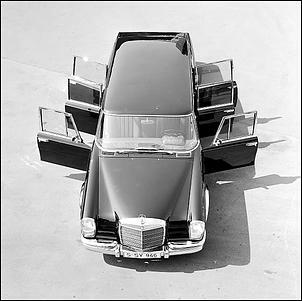 In May 1967, a customer - with a strong propensity for sports - requested a special design, which would combine the easy handling of the curtailed 600 model with the advantages of the landaulet. Consequently, a car with a shorter wheelbase was produced. This car was restored at the end of the '80s and is now in private ownership. 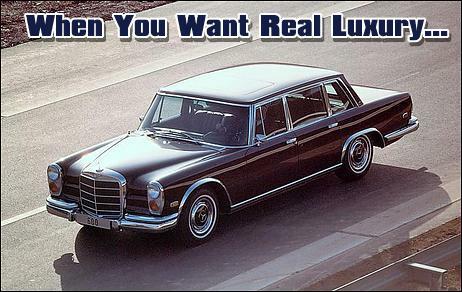 The same is true of a two-door coupe version with a shorter wheelbase which was produced as a prototype in August 1965 and was sold in the USA after spending some time in the testing department. The car found its way back to Germany at the beginning of the '90s and is now in a private collection after being fully restored. The last 600 was produced in Sindelfingen in June 1981; during a 17-year production run a total of 2,677 of these cars were built, 429 of which were Pullman limousines and 59 landaulets.